GUANGZHOU, China: November 2, 2018 – Soon after ZWCAD 2019 Official has been released two months ago, its SP1 version is ready to face the world today! With significantly enhanced efficiency, it is called the fastest release ever. Meanwhile, the great amount of improvements and practical new features is also impressive. 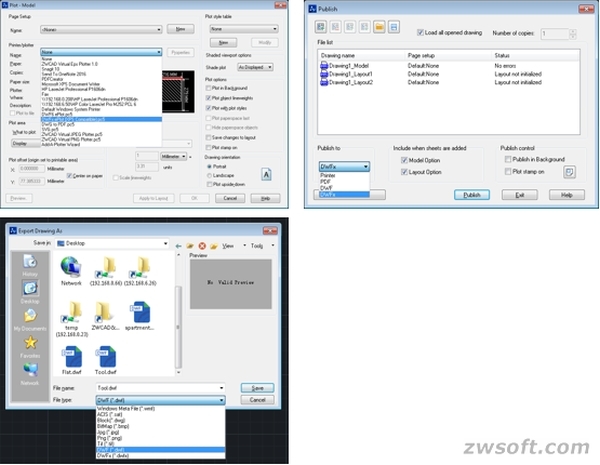 Now let’s take a look at ZWCAD 2019 SP1 together! The speed of frequently-used functions in this version such as COPY, MOVE, SCALE, ARRAY, ROTATE, COPYCLIP/PASTECLIP, layout switch, layer thaw/freeze, layer lock/unlock has been evidently accelerated. At the same time, the stability is also promised – its performance under continuous and intensive usage is particularly outstanding. In a word, more efficient drawing experience is realized without the compromise of stability. Multifunctional Grip Menu for PLINE/2DPOLYLINE and HATCH is now available with multiple options like Stretch, Add or Remove Vertex, Convert to Arc, Origin Point, Hatch Angle and Hatch Scale. Simply by hovering your mouse over the grips, the menu containing these options will pop out for you to select and edit polylines and hatched objects, instead of bothering to enter relevant commands over and over again. What’s more, you can also switch the options easily by Ctrl when editing the grips. In the previous version, DWF/DWFx Underlay can only be attached and displayed. Now, more can be done to it – you can snap objects in it, manage its layers, clip it, display or hide its frames, and adjust its display effect such as the contrast, fade degree and monochrome. You are able to make the best of DWF/DWFx Underlay to get what you need, as well as editing off-the-shelf designs, rather than starting from zero. Drawings can now be plotted, published and exported to DWFx format, making it easier to view drawings on the internet, and more seamless to work and share with your colleagues and clients. EMF files can now be plotted. 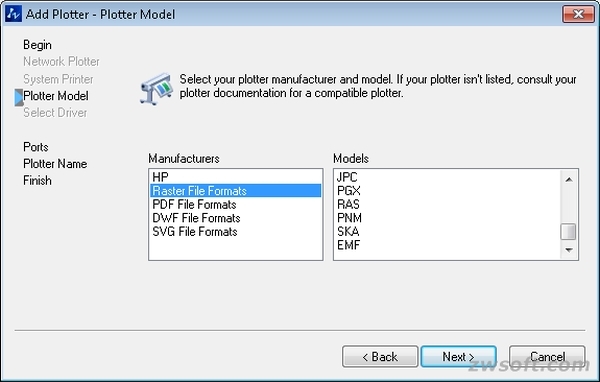 You can add the EMF plotter through PlotàPlotter NameàAdd-A-PlotteràMy ComputeràRaster File FormatsàEMF. There are also plenty of improvements targeted at bringing you smoother and joyful user experience. For example, the installation process has been further optimized; the rotation angle can be set when doing PASTECLIP; multi-page PDF files can be plotted in Smart Plot, etc. Try now and you will like it.